Whatever Happened To The Original Cast of ‘Mighty Morphin’ Power Rangers’? : I knew what Amy Jo Johnson went on to do, but it’s interesting to see what happened to the others. Space Archaeology’s Prometheus Review: I totally agree with this; a lot of what was wrong with Prometheus comes from having stupid scientists. What If Things Had Ended… Differently? FED by Mira Grant: Mira Grant gives us a glimpse of what could have been the ending of Feed. I’m glad she didn’t go this way though; I much prefer the actual ending. 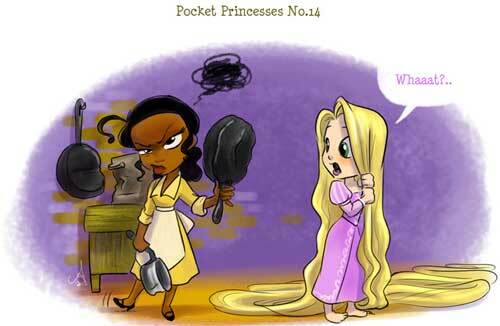 Pocket Princesses: Awesome comic series from Amy Mebberson featuring the Disney princesses living together. It’s currently on hiatus, but they’re so funny, I hope it returns soon! Joss Whedon’s Interview with Rutherford D. Actualperson: Awesome letter from Joss to his fans about The Avengers. The 22 Rules of Storytelling According to Pixar: Storyboard artist Emma Coats tweeted a list of storytelling rules that’s she learnt while at Pixar. Hangman – You’ve Probably Been Playing It Wrong! : What order of letters should you use while playing hangman? This post actually looks at the frequencies of letters in words from a dictionary and shows how you should play. Valve’s Handbook For New Employees: Valve looks like such an amazing place to work! 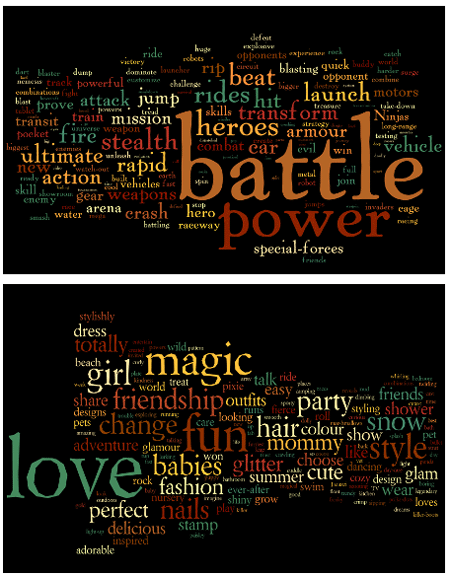 Toy Adword Wordclouds: Visualization of the words used in ads for toys. Guess which one is for boys an which for girls. It’s from more than a year ago, but still interesting to see (and I predict there wouldn’t have been any drastic changes in the past year for it to be massively different now). 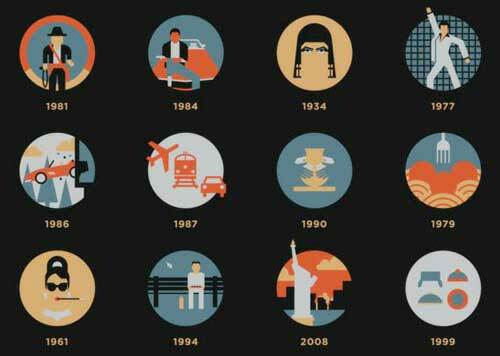 The Floppy Disk Means Save and 14 Other Old People Icons That Don’t Make Sense Anymore: I don’t agree with all the examples he gives, but there are definitely some icons which might seem a bit strange nowadays. Museum of Endangered Sounds: Cool idea, but I’m kind of disappointed that the dial-up sound of modems isn’t among them. Why I Write “Strong Female Characters”: Good post from comic book writer Greg Rucka.